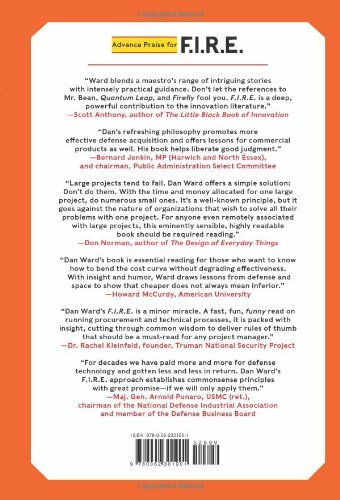 Noted military technology expert Dan Ward's manifesto for creating great products and projects using the methods of rapid innovation. With nearly two decades as an engineering officer in the U. S. Air Force, Dan Ward explored these questions during tours of duty at military research laboratories, the Air Force Institute of Technology, an intelligence agency, the Pentagon and Afghanistan. The pattern he noticed revealed that the most successful project leaders in both the public and private sectors delivered top-shelf products with a skeleton crew, a shoestring budget, and a cannonball schedule. Excessive investment of time, money, or complexity actually reduced innovation. He concluded the secret to innovation is to be fast, inexpensive, simple, and small. 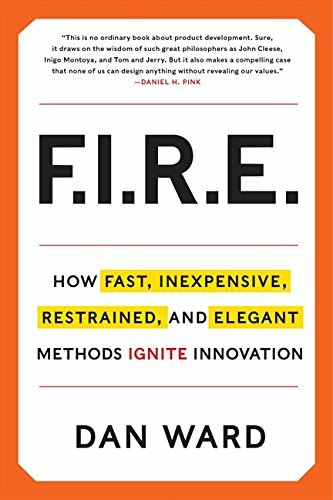 FIRE presents an entertaining and practical framework for pursuing rapid, frugal innovation. 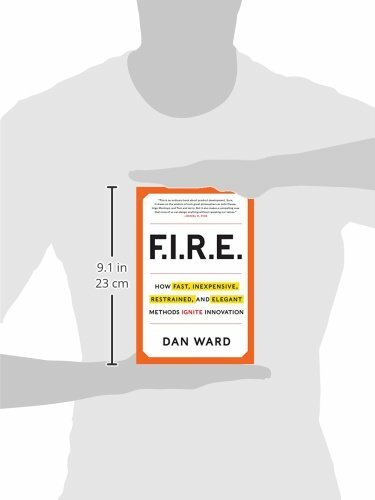 A story-filled blend of pop culture and engineering insight, FIRE has something for everyone: strategic concepts leaders can use as they cast a vision, actionable principles for managers as they make business decisions, and practical tools for workers as they design, build, assess and test new products.